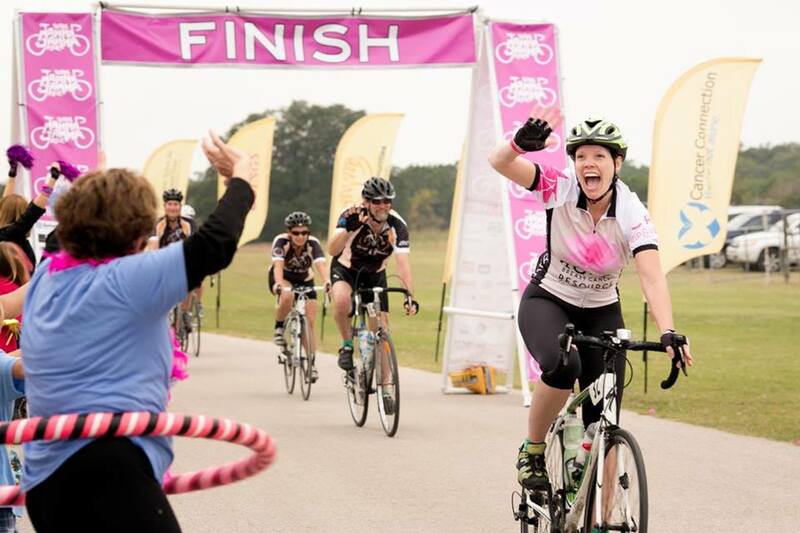 On Saturday, September 27th, hundreds of riders will take to the roads of Austin in participation of the 6th Annual Texas Mamma Jamma Ride. The ride raises much needed funds for our agency and 9 other local agencies dedicated to helping Central Texans face breast cancer. This year the brave riders of Team BCRC have pledged to raise $5,000 before the big day – we asked two of them to share their story and reflect on why they ride for Team BCRC! Back in 2007, I was looking for a non-profit event to get involved with. I had criteria: 1) they had to have a DIRECT impact on their community and 2) the event had to be fun. Someone (I can’t remember who) told me about the BCRC and their art bra event. I’m in! I fell in love with the BCRC that night. I saw the power they gave these survivors to take their lives back and I have been a volunteer ever since. But knowing what an organization does is different than seeing it first-hand. In 2010, I volunteered for the Texas Mamma Jamma Ride. My husband and I stood on the side of the road for several hours in 90+ degree weather warning riders of an upcoming intersection that was NOT protected. We did our bit, ate our lunch, cheered at the finish line, and went home – happy and exhausted. The next week, I went in for a yearly mammogram. I figured this was no big deal since there is no history of breast cancer in my family, and I’m generally pretty healthy. A couple of days later, the imaging center called me back in to ‘take another look’. The next two weeks involved another screening, an ultrasound, and finally a biopsy. Ray Anne Evans, now the Executive Director, was there to answer my questions and held my hand through the biopsy. Fortunately I learned what I have is non-cancerous. During this time I leaned on BCRC to provide information, support and understanding. This is where I saw first-hand the kind of care and support BCRC provides . For me, riding is therapeutic. I reconnect with nature (hearing, seeing, and smelling everything that I miss in the car). The tires on the road become a white noise and I just think, de-stress, and come up with ways to end hunger, war, and Adam Sandler movies. 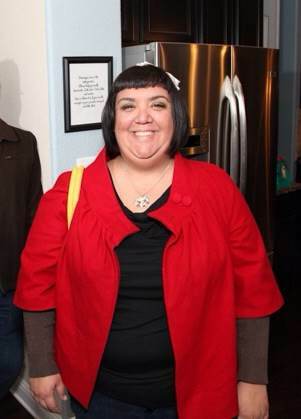 In 2013, Phyllis Rose and former BCRC-staff member, Samantha Higdon, asked me to be the BCRC Team Captain. You would think I was just crown Miss Cyclist – sash and all. I was floored, stunned, and incredibly honored. It took me all of 1.38 seconds to think it over. YES! So now, I fundraise, I recruit, I make sure our riders get the info they need, and I sweep every ride. Most importantly, I get to wear the BCRC jersey! I like to think of it as my superhero outfit…just without the cape. I am forever grateful to the BCRC for helping so many and making such a difference in the lives of people dealing with breast cancer. I love you all! I have wanted to do this ride for a few years now but have always been too busy or scared to sign up. I am not an avid cyclist. In fact, I haven’t owned a bike and years and got my first bike this past May. It was Rhonda’s excitement for the event that has pushed me. I have chosen to ride on Team BCRC because of the wonderful support these ladies have shown me. I have been volunteering with them since spring of 2009. It started out as a requirement for a Women’s Studies class I was taking at St. Edwards: 45 hours of service in the infusion rooms talking to patients. Over seven years later, I am still with the BCRC and loving it! For the past 6 years I have been volunteering at Art Bra Austin, the last 4 of which I have been the chairperson of the check-in and check-out process. It is a lot of hard work, but I get to work with some great ladies and help raise money for a great cause. My final reason for signing up for this year’s Mamma Jamma Ride is my abuella (grandmother), Guadalupe Castillo. She passed away from breast cancer in 1977. I was not fortunate enough to meet her, but I have heard of how strong of a woman she was. She had 12 children, and worked for many years as a migrant worker in the fields. I am riding in honor of her memory, and all the women who have been lost to this disease. Besides volunteering directly for the BCRC, I also volunteer with SCARE FOR A CURE. I currently sit on their board as the Fundraising Director. In the past three years I was also their food goddess…I mean, food manager. Through SCARE, I am able to help raise additional contributions for the BCRC. To date, SCARE has raised over $100,000 for the BCRC, as well as provided volunteers and logistical support for major BCRC events. Breast cancer has affected my entire life, and I volunteer so that no one has to go through breast cancer alone. Come out and meet more of the members of Team BCRC this Thursday, August 7th at Opal Divine’s in Davenport! Opal’s has generously offered to donate 10% of their food sales to Team BCRC’s fundraising goal whenever you mention ‘Mamma Jamma’ or ‘BCRC’! Visit Rhonda’s Facebook Event for more info!